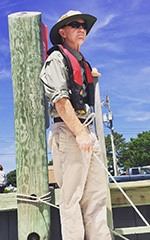 The Virginia Institute of Marine Science recently welcomed Dr. Richard Snyder as the new Director of its Eastern Shore Laboratory in Wachapreague. Snyder replaces Dr. Mark Luckenbach, who was named Associate Dean of Research and Advisory Services on the Institute’s Gloucester Point campus in 2013. During the two years since Luckenbach made the transition to VIMS’ main campus, P.G. Ross, a marine scientist at the ESL, had stepped in as Interim Director while a national search for a new director was underway. 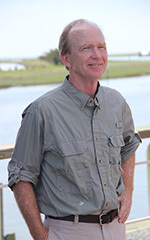 Snyder comes to VIMS from the University of West Florida in Pensacola where he served as Director of its Center for Environmental Diagnostics and Bioremediation. 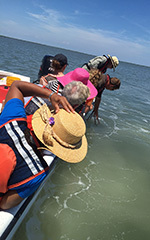 As Director of the ESL, Snyder is responsible for ensuring that visiting students and faculty have safe and effective access to the coastal habitats of the Eastern Shore, and that ESL facilities capitalize on that access for optimal classroom and experimental work. Snyder says he is looking forward to picking up where Luckenbach and Ross left off in terms of expanding the campus and further enhancing its role as a hub for research and teaching. Snyder says he feels obliged to allocate time to explaining complex science to the general public through media contacts and presentations, and to improve the dynamics of the science-society interface.